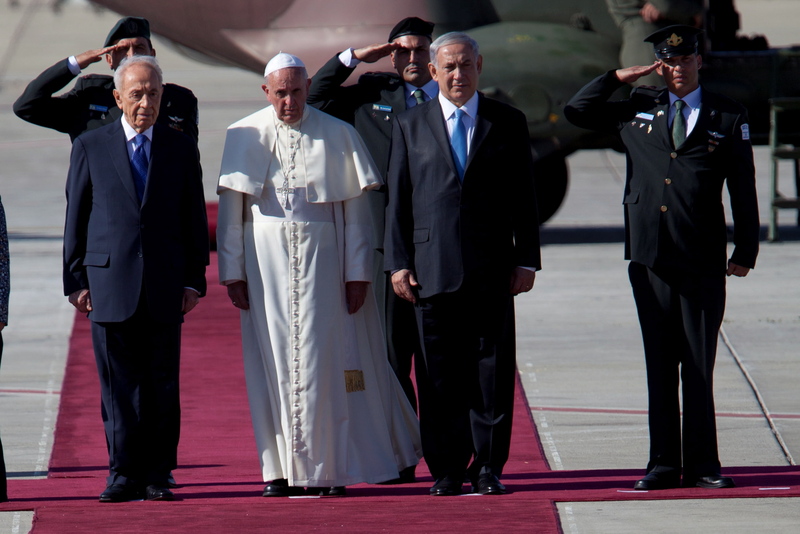 Pope Francis invites Israeli, Palestinian presidents to travel to the Vatican. Pope Francis urged Israeli and Palestinian leaders “to leave no stone unturned” in their quest for a “just and lasting solution” to the ongoing conflict between the sides, upon his arrival in Israel on Sunday afternoon. Earlier, the pope had traveled straight from Jordan to Bethlehem, where he was greeted by Palestinian Authority President Mahmoud Abbas and other high-ranking PA officials. Abbas and Pope Francis held a private meeting, after which they attended Mass at the Church of the Nativity, in Manger Square. En route to Mass, the pope made a surprise stop at the West Bank separation barrier. 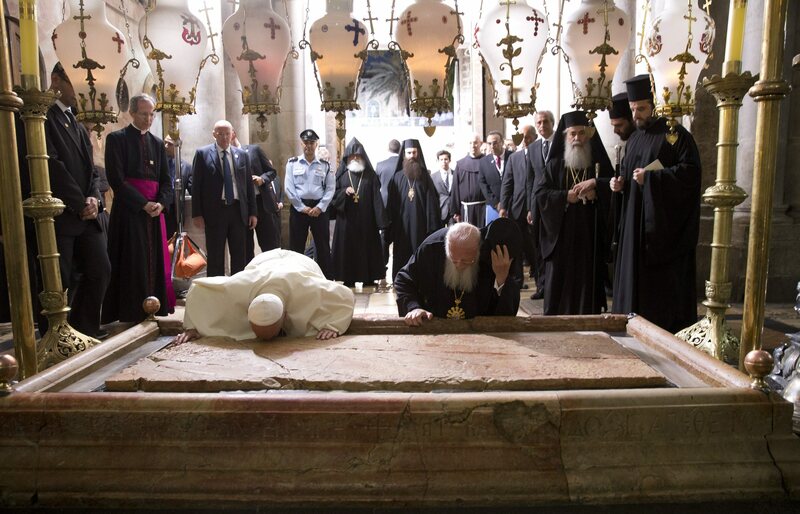 In an image likely to become the most emblematic of his three-day trip to the Holy Land – and one that swiftly appeared on news media around the world – Francis rested his forehead against the concrete structure that separates Bethlehem and Jerusalem, and prayed silently. The pope also called on both sides to recognize the other’s right to exist, within internationally recognized borders, and in safety and security. The pope stated that peace would bring limitless opportunities and advantages to the peoples of the area – and the entire world – before he called on both sides to work decisively toward peace, even if it means making compromises. During their meeting, Abbas and Pope Francis spoke about advancing the Arab Peace Initiative (the plan first proposed by the Arab League in 2002). Afterward, Abbas mentioned ongoing settlement construction in the West Bank and East Jerusalem, and the difficulties facing Palestinian worshippers seeking to enter the Al-Aqsa Mosque and the Church of the Holy Sepulchre in Jerusalem. Pope Francis invited both Abbas and Peres to travel to the Vatican, to attend a joint peace prayer ceremony with him. Abbas and Peres’ offices responded positively to the invitations, stating they would travel to Rome next month. Meanwhile, the Israel Police arrested more than 20 demonstrators overnight Saturday at the King David’s Tomb complex in Jerusalem, after they protested Pope Francis’ visit to Israel. After Shabbat ended, some 150 right-wing activists arrived at the complex and began demonstrating, allegedly attacking police officers with stones and bottles. Some of them entered the compound and barricaded themselves inside. Police forces evacuated the compound and arrested 26 people for disturbing the peace, including a soldier who allegedly threatened police with his service weapon. A few police officers were slightly injured and one patrol vehicle damaged.